Take it to the street. 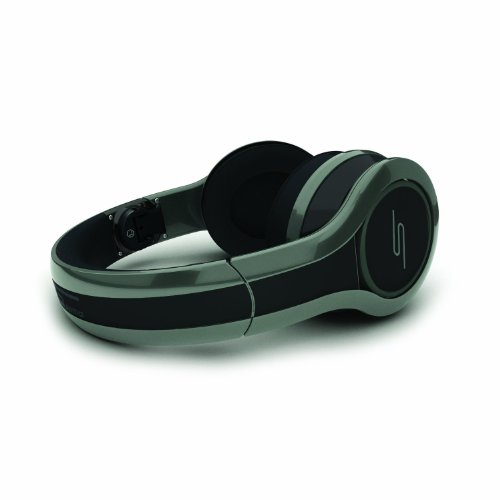 Bring your music with you in luxurious style with STREET by 50 DJ Headphones. The custom 40mm driver with professionally-tuned sound signature gives you studio-quality sound for demanding audio applications. The sound signature of STREET by 50 has been professionally engineered to deliver a more pure, uncoloured, and balanced sound to ensure you hear your music as the artist originally intended, no matter the genre-from rap to rock, jazz to classical. The closed-style design of the STREET by 50 provides passive noise cancellation, with soft memory foam cushions that help decrease outside noise and are comfortable for long periods of wear. With professional studio quality sound, high-end styling, enhanced bass and foam ear pads the STREET by 50 Pro Performance DJ headphones will ensure a comfortable ride no matter where the music takes you. STREET by 50 headphones are ready to go wherever you are, with an included soft drawstring carrying case and adapter for airplane audio jacks. It's a versatile audio solution to enjoy your favorite music anywhere and everywhere. More than simply headphones, SMS Audio allows you to experience the power of music on your own terms. Smart, stylish and comfortable, these headphones provide you with an escape into the lush world of professionally-tuned, acoustically perfect music...anywhere, anytime, and any way you want to hear it. The STREET by 50 DJ headphone is currently available in 2 colours: Shadow Black and City Grey. Each STREET by 50 DJ headphone includes: removable cable with mic, carry case, airplane plug adaptor, soft touch cleaning cloth, owner’s manual, and product brochure.